Milestone is excited to announce that we have started to deploy the agile methodology of communication within our company through cross-functional team meetings across departments. Towards that goal, we had our very first cross-functional team meeting last Friday. Waterfall communication does not work for progressive companies. Most companies operate in a waterfall method where the information flows from top to bottom. The problem with this method is that people often feel their hands are tied, limiting opportunities to grow and innovate. 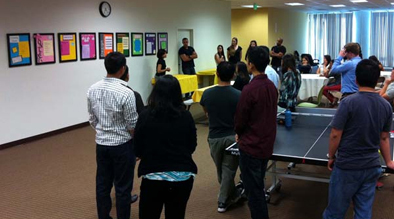 The agile method allows for all our teams to come together and work in a very cohesive environment. This method allows us all to keep up not only with what is happening in the industry and latest news, but it also allows us to keep in touch across departments within the company. Making sure customer and employees always come first. You define and re-define priorities accordingly. Breaking down silos by creating a flow of information between departments. Responding to industry changes timely and quickly. Giving every team member a chance to contribute. 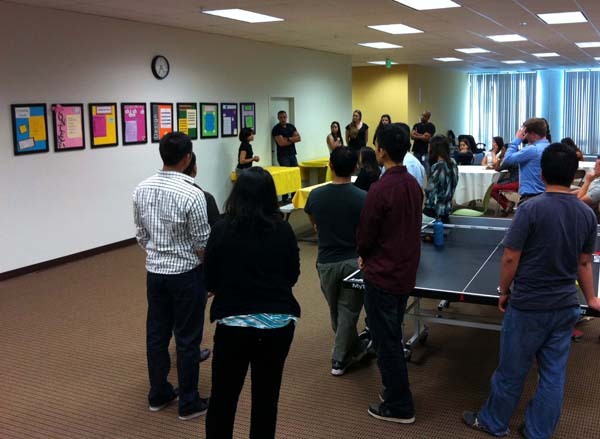 Milestone announced 9 functional teams focused on different areas of business. The main objective of these teams is to work together in accomplishing common goals. Cross-functional team meets every two weeks and reviews the status of goals accomplished. Each team has their own board that shows goals they are setting up and accomplishments. Anyone in the company can go and pin ideas on these boards. By strengthening Milestone’s core values of customer and employee development, we can continue to ensure we are offering the highest possible levels of service and products. Ongoing collaboration with each other, with our clients and being able to react quickly to changes by making the right decision keeps us able to focus on what matters most to our clients and to our employees.